Him welcome to the Intros of our June release! 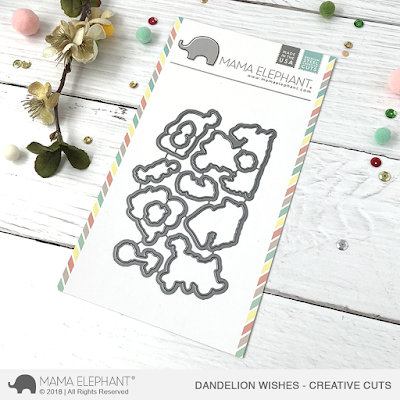 We are looking at Dandelion Wishes today and oh boy, what a cute set this is designed by Aida Zamora! We love, love, love how charming these woodland critters are! Instead of birthday cakes and candles, these critters are blowing dandelions to make their wishes! I'm just over the moon with them, especially that funny little squirrel! Also new this month is this large die to make 3d pop up cards, designed by our very own Amy Yang at sharingnewlove.blogspot.com! We love interactive cards around here, and this one is such a basic and fun one! When folded flat, it is a standard A2 size. No special envelopes needed! 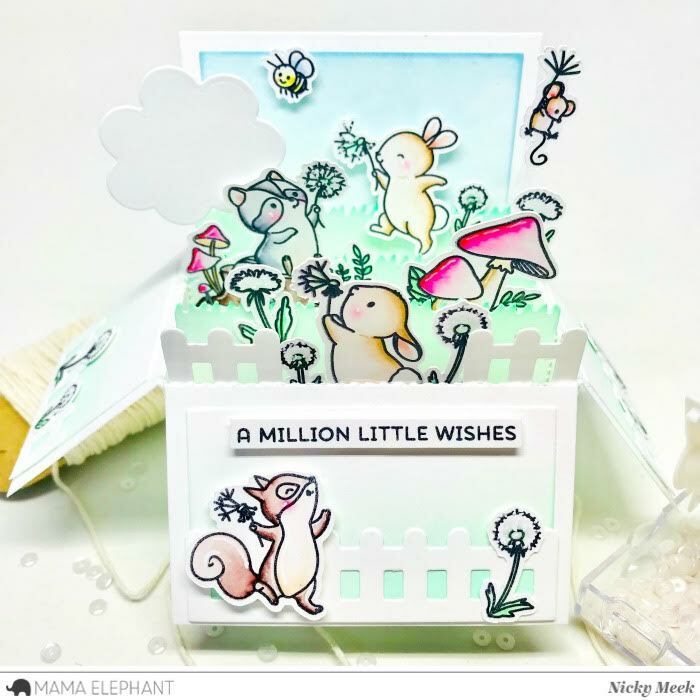 The talented Nicky Meek @nickynoocards is joining us again this month to take over Introductions for us. Her projects are out of this world beautiful! We are so happy to have her back here showcasing our June goodies! 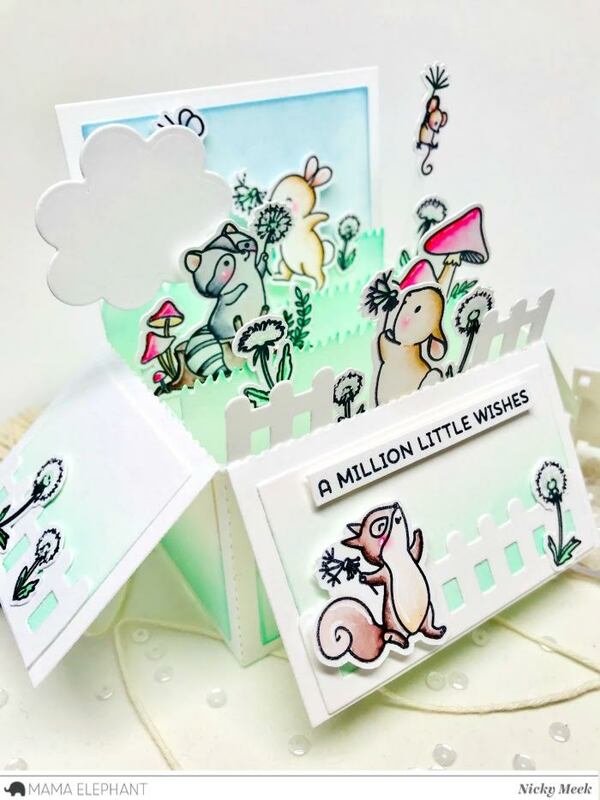 For her project, she creates this pop up card using Dandelion Wishes and the new 3d Pop up Card creative cut. Thanks for stopping by today? Are ya excited for the new 3d Pop Up card die? How about the sweet cuties in Dandelion Wishes?! All so pretty!! 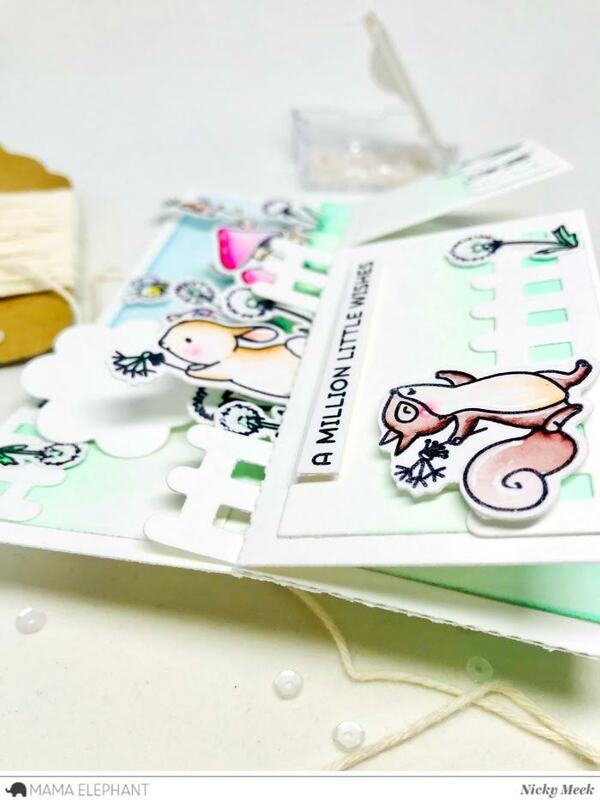 I love the extra pieces you've included in your pop-up box die! Love how Nicky used these goodies! critters. The pop up box is so awesome & fun! Oh my goodness, all the critters are adorable and the pop up box is the perfect way to display their cuteness and wishes! What an adorable stamp set! This card is so cute :) I love the new dies for pop up cards, too! This stamp set is the sweetest! I can't even pick a favorite critter, they're all so adorable. I love how dynamic their poses are. These are beautiful! I feel like this is just what my craft stash has been missing. 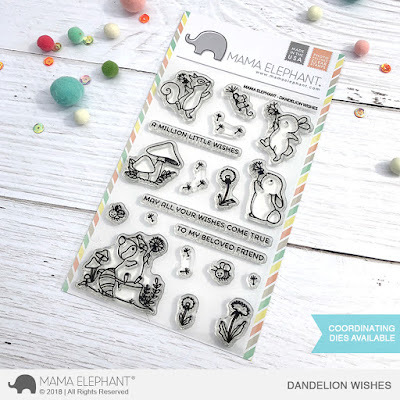 Can't wait to add those dandelion wish stamps to my stash!! I can't take it.... so much cuteness..this is one I have to either wait up late or get up early to score!!! Oh these stamps are adorable and I can't wait to see the 3 D pop up die in action again. The little critters are just adorable. I like the pop up aspect, too! Oh this is so fun!! LOVE the new little critters and that 3D pop up is fabulous!! That set is super cute. And what an awesomely beautiful box card. This set is so cute! I love your pop-up box, the colors are so pretty and of course the critters are adorable. The soft colouring is just lovely. These are so fun and loving the box card die, I think it will so easy to make one of those cards. I’m literally smitten!! These little critters are absolutely cute and remind me of the sweetness in life And simple days of wonder and magic! LOVE! This is the cutest set I have seen, love those critters and the dandelions! fun new release - love the box card !!!! Oh wow! There’s so much joy in this stamp set! I love it. Definitely need the pop-up set, too. 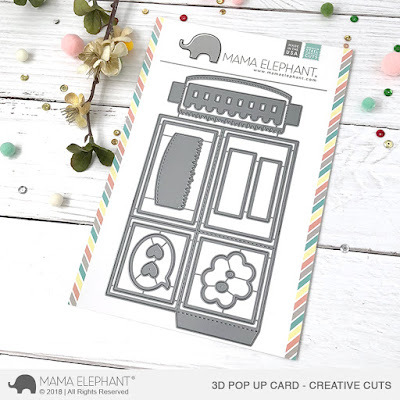 This pop-up box card is too Stinkin' CUTE!!! !